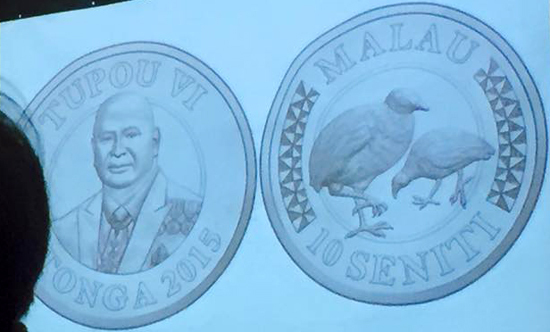 New currency notes and coins were launched by HM King Tupou VI yesterday, 29 June, at the Fa'onelua Convention Centre. 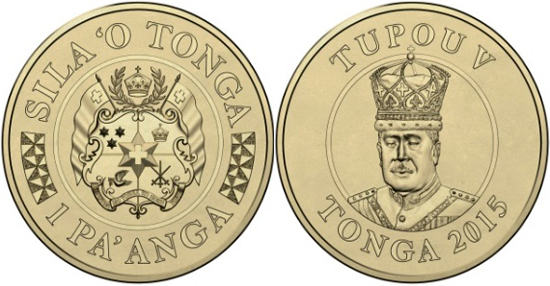 The Coronation Series is made up of six new Pa'anga notes and five new coins: 5 seniti, 10 seniti, 20 seniti, 50 seniti, and for the first time a $1 Pa'anga coin. 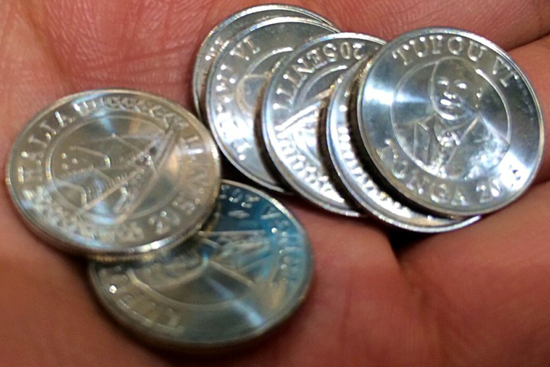 There will be no more one and two seniti coins. 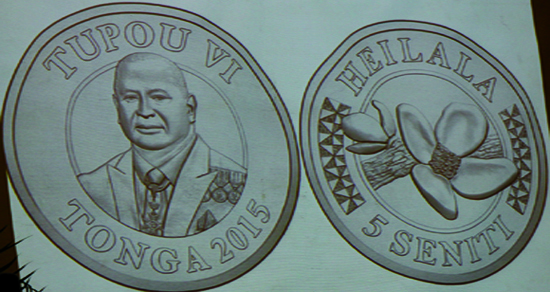 The 5s, 10s, 20s, and 50s coins, made out of nickel plated steel, carry a portrait of Tupou VI. The $1 coin is made out of aluminium-bronze, with a portrait of George Tupou V.
The coins have been made by the Royal Australian Mint in Canberra. I hope that better images will be known soon, but here's what I have found right now.